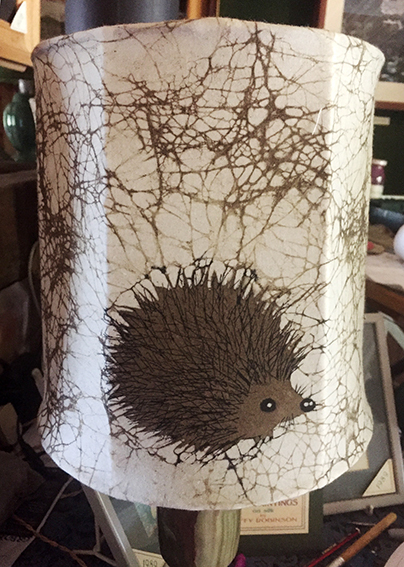 This has always been one of my best selling lampshade designs. The spiky hedgehog sits in a lively cracked background, a simple design using only two colours. This is the last lampshade in this size, as all the frames are finished.